Students from the Chemical and Biomolecular Engineering Department of the University of Tennessee are part of a collaborative research effort within the Critical Materials Institute to develop methods of Rare Earth Element extraction. Dave Desimone (left), Nick Dement and Taylor Forrest (right) prepare samples for further analysis at the Florida Industrial and Phosphate Research Institute laboratories. 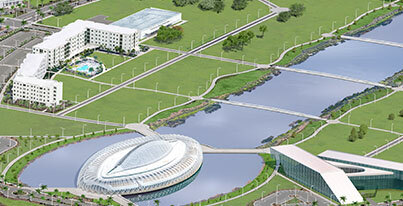 This week, the Florida Industrial and Phosphate Research (FIPR) Institute of Florida Polytechnic University is again hosting student researchers from the University of Tennessee, Chemical and Biomolecular Engineering Department in an ongoing effort to develop Rare Earth Element (REE) extraction methods from phosphoric acid production. This research project, funded by the Critical Materials Institute (CMI) and led by Oak Ridge National Laboratory, is part of a multidisciplinary effort to increase U.S. availability of REE’s (such as yttrium, neodymium, and lanthanum) necessary for advanced technology development. 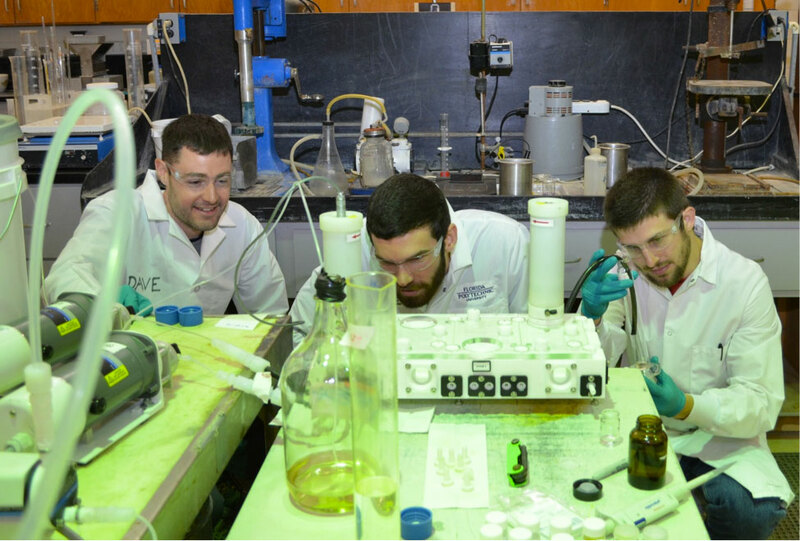 Dave Desimone (PhD candidate), Nick Dement (Senior), and Taylor Forrest (Senior) are testing solvent extraction methodologies that could harvest REEs as part of the phosphate fertilizer production process or associated waste streams. This current REE research is supported by five major stakeholders: the FIPR Institute, Mosaic Company, University of Tennessee, Oak Ridge National Laboratory, and Idaho National Laboratory, all working under the CMI umbrella.